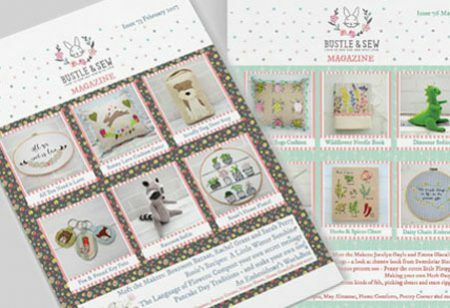 If you missed out on the Bustle & Sew Magazine in 2016, here’s your chance to grab a complete set of 2016 Back Issues. Between the covers you’ll discover 72 lovely Bustle & Sew projects (some of which have never been available outside the magazine), meet lots of very talented craftswomen and makers, sample some of Rosie’s recipes and enjoy a whole year in the English countryside too. And as well as all of this there are features and articles, and even a poetry corner too! We are very proud of our magazine and are passionate about sharing all we love about our homes and life here in rural Somerset, with sewing very much at its heart of course!